Google Analytics is regarded as the best website tracking software available today. Sign up for a FREE Google Analytics account by visiting their homepage at http://www.google.com/analytics. In order to register, you will also need to sign up for a Google Email Account (Gmail) if you don’t already have one. 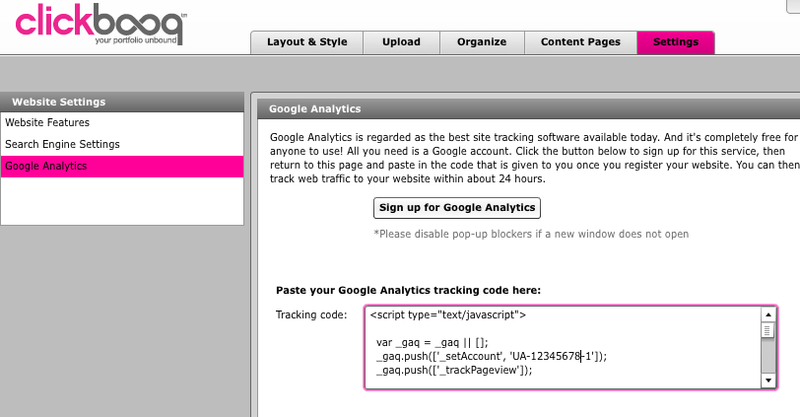 Copy and paste the entire snippet into clickbooq’s Tracking code field in Settings > Google Analytics. account at http://google.com/analytics to view your website traffic.